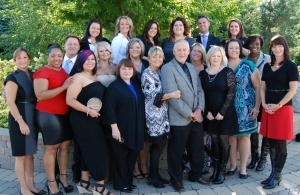 Capri Beauty College is proud of our quality and committed faculty. The original College founders have been, and continue to be, actively involved in the day-to-day operations since the College was founded in 1960. Over the years we've added many talented individuals to our team, making Capri Beauty College one of Illinois' finest cosmetology colleges. Services, faculty evaluations and supervision. Amy also Directs the Teacher Training Program. Corporate Vice President. Pivot Point Program Educator. Licensed Instructor since 1987. Specializes in Men's Sculpting Techniques, Color Technology/Advanced Theory Instruction. Tom is the acting Director of Capri's newest Campus location in New Lenox, IL. Oak Forest Campus Director. Licensed Instructor since 1984. Specializes in Corporate Financing, Compliance, Admissions, Student/faculty evaluations and Curriculum Implementation. Tricia represents Capri in numerous Association Positions such as AACS, NACCAS, & Pivot Point International and acts a liaison for Illinois Legislature. Licensed Instructor since 1967. Specializes in Curriculum Development. Illinois Law and Internship Program. MBA Loyola University. Securities Analysis. Dave provides information, security and compliance to Capri Beauty College. We also offer our students a wide range of support services including customer service, retail sales, salon internships, special project support, financial aid support, student instructor programs, graduate level programs and continuing education programs for salon professionals.